Given its immense popularity among the educated, talented and hardworking youth of the country, civil service examination is bound to be the most bitterly contested exam one can find in India. Civil services command respect, prestige and status like no other job can offer. Besides, it provides job security and attractive perks to provide a comfortable lifestyle. But more than all these factors, it is the nature of the job to be performed in civil services that motivate many to aspire for it. Apart from offering challenges and diversity, civil services offer some of the most socially relevant jobs which lend meaning and justification to life. Unlike the private sector jobs, where one is doing mostly socially irrelevant jobs or, even at times socially harmful jobs, civil services offer satisfying jobs in sectors such as policing, education, health, welfare etc. This is why many candidates try hard to get into civil services rather than pursuing a career in the private sector. As is well known, it is a three-stage examination comprising prelims, mains and interview. At all the three levels of the contest (i.e., preliminary, mains and the personality test), there are challenges. But it is at the first stage of the exam. i.e. the preliminary exam, that is found to be most challenging. Although prelims is purported to be just a qualifying test to allow a candidate to appear in the main examination, the reality is that it is both scary and intimidating. It is scary because out of a total of 4-5 lakh aspirants appearing, only 15,000 candidates have a chance to get selected at this level. Thus it actually translates into not a qualifying exam but an elimination process and even the most talented among the aspirants run the risk of getting eliminated in the prelims level itself. If one gets eliminated, he/she has to wait for one full year to get another chance to qualify and appear in the mains. It is intimidating because there is so much to study for the exam ranging from the traditional areas like history, culture, geography, environment and ecology, polity, science and technology to current and contemporary issues. Whereas the mains exam seeks a conceptual understanding of the issues, prelims seek both conceptual understanding and factual knowledge which broadens its scope. Viewed in this perspective, prelims preparation is a true test of one’s nerves, tenacity, persistence, and perseverance. I. It requires both conceptual clarity and factual information base: While the main exam seeks to test a candidate's conceptual understanding through writing skills, the prelims test both concepts and facts. For example, if you are studying Buddhism and Jainism in history for your prelims exam, a question may be asked about the concepts of soul, God, transmigration in both the religions which requires a very good clarity on related concepts. Then, questions may also be asked pertaining to facts alone, e.g. about various Buddhist councils, where they were held, etc. This requires a thorough preparation of the syllabus both in its conceptual aspects as well as factual details. II. 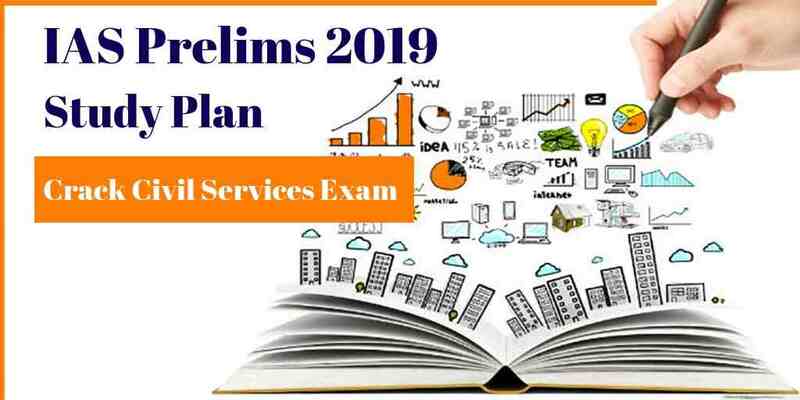 It is a common test for both IAS and IFS ( Indian Forest Service) exams: Since there is a single prelims exam conducted for both the IAS and IFS, the format of the prelims exam has been modified to do justice to both. Earlier, a large number of questions were asked from traditional areas like history, polity and economics. But now there are more questions on geography, environment, ecology, climate change, forestry in order to evaluate an IFS candidate taking this common test. This new feature of the exam must always be factored in your preparations. III. Preparation beyond NCERT books: Mastering NCERT books is what everyone would suggest cracking prelims. This is largely true also. But you cannot expect all questions just from NCERT books which, though excellent on concepts, lack factual details asked in the exam. Therefore, you need to consult books beyond NCERT also. IV. Well, known facts count but less known facts also matter: No doubt, you need to know all the well-known facts on subjects like history, geography etc., but at the same time, you need to know about less known facts also because UPSC has a passion for setting such questions. By less known facts I mean those ones which are not projected eminently in news or even books. For example, if one is knowing about the Money Laundering Act and its provisions, one must also know which agency investigates and files cases under this law. It is being enforced by Enforcement Directorate. Similarly, we all know about Earth Hour being observed every year, but it is also important to know which agency is implementing it i.e. WWF. V. The best test series is not coaching stuff but the last 15 years of UPSC questions: I have a mantra for success in prelims. 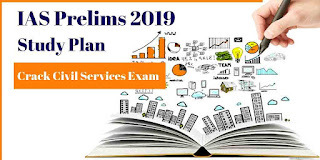 If you solve all GS questions asked by UPSC in the last 15 years in the prelims exam, except the current affairs related questions, you will get 15-20 questions easily. Previous years' questions do get repeated every once in a while. Apart from these, questions are also taken from previous years' exams conducted by UPSC for CAPF, NDA. Some questions from SSC exam are also asked. Therefore, rather than practicing questions prepared by commercial coaching and websites, it is wiser to practice last years' questions as they are authentic and they might be repeated. VI. Strategy for CSAT: CSAT is of qualifying nature now requiring only qualifying marks (i.e. 33% only). It does not make sense to devote too much time for CSAT. The best way of doing CSAT is to identify your strong areas in CSAT syllabus and do well in that area to score the qualifying marks. For example, if you are good in maths and reasoning, make it your strength and it will give you the minimum marks required to qualify. Similarly, if the comprehension part is your forte, use it to your advantage in the exam. Current topics of national and international importance: This constitutes the most challenging part of the prelims syllabus in terms of its wide coverage and diverse nature. The problem here is not the current affairs per se, but the attitude of candidates towards it. Current affairs are to be done on a day to day basis, but the majority of candidates keep postponing it till the close of the prelims exam and then suddenly get panicky about it. You will definitely find it hard to do current affairs at the last moment because it requires an enormous amount of information from diverse fields. Therefore, it should be part of your daily routine. Secondly, the sources should be of a diverse nature to collect information on various topics of current affairs. At least 2- 3 newspapers should be thoroughly read and a couple of magazines, including a foreign weekly like The Economist, Time, Newsweek etc., should also be perused. Events of last one year should be scrutinized in detail. Additionally, some important events of two years preceding last year should also be refreshed. · History and Culture: Of late, there is a tendency to ask more questions on art and culture part. This needs to be thoroughly done through books like "The wonder that was India " by A. L. Basham," The Gazetteer of India" etc. Modern India should be given more emphasis because a large number of questions are asked from this section of history syllabus. For ancient and medieval India, one can depend on NCERT books, but for Modern India, at least 2-3 different books must be consulted. · Polity: A thorough knowledge of Indian Constitution can take care of the polity section. Any good textbook on Indian Constitution can be referred to, but it must be supplemented by reading the articles of the constitution and their interpretations. For this, I would recommend P.M. Bakshi's book on Indian constitution. Needless to add here that the current developments in judiciary, legislature governance issues will also have to be followed along with the constitutional provisions. I will recommend two websites viz. Live Law and PRS India to update information on polity and law related issues. For prelims 2019 exam, focus should be on matters relating to judiciary and landmark judgements of Supreme Court, change in the electoral laws and changes in the RPA Act, 1951. · Economic and Social developments: Though in terms of numbers , fewer questions are being set on economics, yet, its current affairs component has been increasing. In other words, there are more current economic questions than the traditional questions on economy. This strengthens the case for a thorough knowledge of Budget, Economic Survey, and careful perusal of economic news appearing in the pink newspapers ( financial newspapers are printed in pink newsprint). · Govt schemes, policies and programs: A good number of questions are asked about various schemes of the government. For this, you need to access important government websites especially of the Ministries of Agriculture, Rural Development, Social Justice , Women and Child Development which roll out various welfare schemes. The problem here is that the questions on government schemes and programs are not of a general nature. The minute details are also asked relating to a particular scheme. Therefore, each government scheme needs to be followed in its minute details otherwise it will be difficult to arrive at the right option given in the question even though you might know about the scheme. · Science and Technology: For best coverage of this section, a two pronged strategy should be employed. One, basic theories of physics, chemistry and biology must be buttressed by reading NCERT books on science. Two, applied science, (mostly part of current affairs) must be covered through newspapers and scientific magazines. One must always remember, it is unrealistic to aim at complete command of prelims syllabus. What is required is a substantial command over the syllabus and being selective in preparation. Usually, you require 110 marks to qualify in the GS paper of prelims. To achieve this, a safer strategy would be to command a couple of static parts of the syllabus e.g. history, culture and polity and ensure at least 20-25 correct answers from these areas. Thereafter, one should focus on securing at least 15- 20 answers from the remaining static areas like geography, economy etc. This would ensure at least getting 40 correct answers. Finally, one should prepare from current affairs to get at least 15 correct answers. If this pattern of preparation is followed in a discreet manner, one can fetch the required score i.e. 110 out of a total score of 200. 1. INDIA YEAR BOOK-2019 brought out by Publications Division, Ministry of Information & Broadcasting, New Delhi. 2. Annual Reports of Ministries of Environment and Forest, Tribal Welfare, Women and Child Welfare, Social Justice, Rural Development, Department of Science and Technology, Atomic Energy, Renewable Energy. 2. ICSE books on geography.. 8th- 10th std.